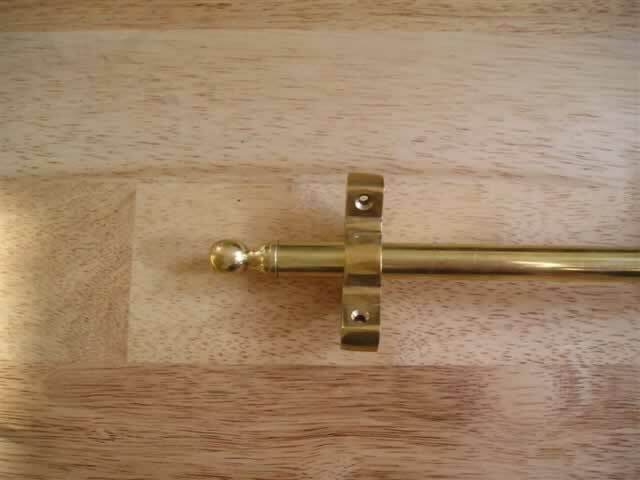 Our handmade stair rods give a luxurious finish to your stair runner. The 1/2" rods are anodized hollow brass stair rods.Stair rods provide a quick and easy way to add style to your stairs. These anodized hollow rods are available with brass, bronze, black and chrome finishes. 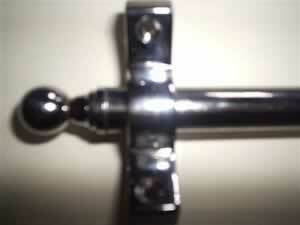 If desired, the rod, brackets and acorn finishes can be mixed and matched. 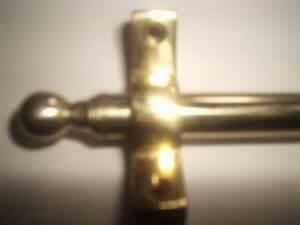 For example, a black rod with brass acorns can be specified. They are supplied with one acorn loose so they can be cut down. The acorn then pushes into place. 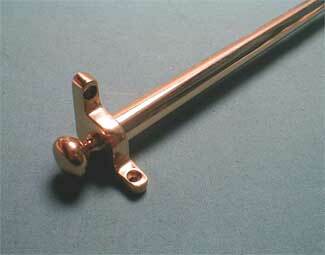 Length in any length just state your requirements on the special instruction page when ordering. 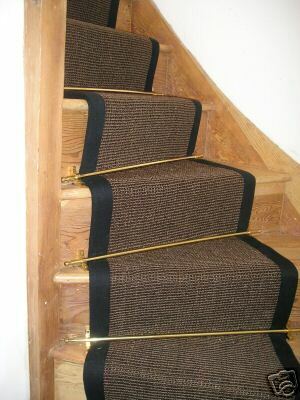 Our stair rods give a luxurious finishand compliment our natural flooring stair runners. We keep all of the above in stock and your order is usually despatched within 72 hours.Only available to customers who live in the UK and Europe. Our natural flooring seagrass rugs, sisal rugs, jute rugs or coir carpet rugs, mats and runners are fitted with a linen border of your choice and latex backing which prevents the rug from slipping. The runners give a luxurious finish. Order a custom made to measure area rug, runner or mat, simply fill in our quote form and will email you a price.